Who are my clients and target demographic? Murphy Concierge is my tech handyman business where I help local residents and businesses in Old Naples, Florida with their digital devices such as iPhones, iPads, Macs, wifi, printers and all things online such as social media channels, content creation, web and graphic design, etc. The majority of what I do is fix issues and teaching people how to get the most out of their iOS & Mac devices as that is the center of most people’s digital worlds. I am a problem solver, fixer and educator and Murphy Concierge is a combination of all three. Murphy Concierge is simply an extension of the brand and business I am building online only I get to meet people face to face. This matters because the tools and how you manage and communicate with your clients needs to be as easy and convenient for them and make sense for your business. 2. The other group is small professional businesses who I help with their content strategy and marketing and tech-related issues. Use Tools Clients Do not have to learn. I have a few clients who do not text message or email, so I need to be aware of these things and accommodate and so do you. My business clients are more up to speed, but the reason they hire me typically is that they either want to get brought up to speed and be relevant online or they are tech-challenged and have no interest in learning my system or workflow. This to me is an important consideration with everything we do also online as content creators and same thoughtfulness of who your target audience is should play a major role in every decision you make for your business and brand. Look at your colors and fonts and graphics and podcast tone and music and the articles you write and the videos you make. Do they consistently represent you and your brand and speak to your clients and target listeners or viewers? Be yourself and be genuine, but you have to always be intentional and considerate of your audience at all times. My business must be able to operate 100% on my iPhone so every tool I use is cloud-based meaning if I am looking at my MacBook, iPad or iPhone, I can access and manage all client relations. Gsuite, formerly Google Apps for Work is the hub for everything I do mainly because Google Calendar is my lifeline and most important part of running my business, but the entire G Suite is worth its weight in gold. is also critical to client management as I have my entire address book in Gmail and I always like to send my contact information for every new client and also appointment confirmations. Gmail is a great tool for keeping a history of your appointments and timelines. Gmail is my filing cabinet for nearly everything, so even if a client calls me to set up a job, I always send an email as a form of documenting the transaction. Creating the paper trail is important and may even protect you legally. I pride myself on being reliable and dependable and that means I rely on my calendar. For me, there is no substitute for Gcal as it just works and also integrates with other tools I use so my appointments come up wherever I am and I also have reminders set up for every morning and 30 minutes before each scheduled event. I am petrified of ever missing an appointment and it does not take long for people to realize that I am never late. But, the busier I get and the thinner I spread myself with all the things I am trying to do, it can be really easy to mess up and forget to put something on the calendar, which makes it absolutely crucial to develop a foolproof client management system that has checks and balances. Side Tip: Understand & test how your devices are synced. Are you using Google Calendar & iCloud? What is your main calendar? Are you storing contacts in iCloud or Google? Open up all of your devices and put stuff on the calendar and make sure it shows up on all of your devices. Delete stuff and basically verify that you are syncing and with the tools you thought. When all of their contacts and mail and to-dos are all working, it feels good and if you are a business, it will keep you on time and trustworthy. As soon as I book a new job, I immediately grab my phone and say Hey Siri, add so and so to my calendar at noon on the 27th. I then create a reminder the exact same way. Checks and balances. My calendar and reminders will remind me to the point where it drives me crazy, but I want that for client work. While on the phone, I gather all the vitals of phone, email, address, problem, etc and like to copy and paste this information into the calendar event notes, just so I don’t get lost while traveling to a job and I don’t have to scour around looking for where they live, etc. While I do have all of my contacts in Gmail, I use Apple iCloud contacts as my main address book and every couple of months I just synced it with Gmail so I have my contacts in both places. I prefer iCloud only because I am usually on my iPhone and it works great and if I ever get a new phone, iCloud backup is the ticket. I do not use iCloud Calendar, but I do use Reminders, Notes & Contacts. Freshbooks. It is my financial center and it’s a keeper. I love it and so do clients. Freshbooks is $25/month and it is also where I keep track of all of my expenses and my accounting stuff. 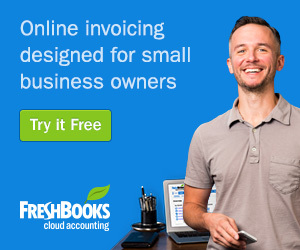 Freshbooks has a lot of features and they are always adding things with freelancers and small businesses in mind and they have as good of customer service around. Extremely friendly and helpful and they even answer the phone when you call. Free trial available. Awesome company and service. Make it easy for your clients to reach you and pay you. Very big part of running a successful business. And If there is anything I can help you with or if you have comments or feedback for me, I would love to hear from you and you can email me at mike@mikemurphy.co or go to https://mikemurphy.co/live Monday nights and stop by for some help or just to say hey.